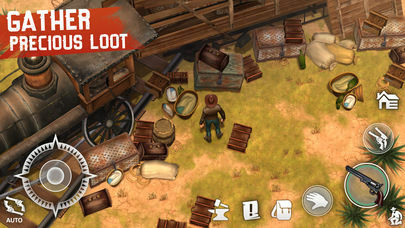 Survive as a Cowboy in the Wild West and become the rule of law! 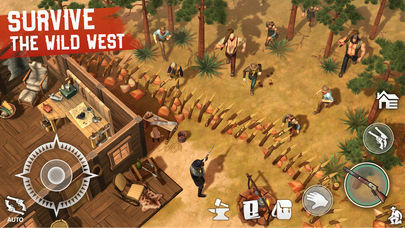 Survive in this Western themed MMORPG, explore the life of a Lone Star ranger and fight robbers, trade with American Natives, set traps and duel in a Mexican standoff! In the Wild West of the Great American prairies, outlaws and even sheriffs are ready to sell brave men out for a fistful of dollars. 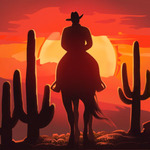 Frontier pioneers and bounty hunters have set carriage treks towards the fabled gold discovery sites in Klondike and Yukon, and to the great plains and deserts of Texas or New Mexico. Your wagon convoy ran into a bandit ambush and left you behind as the only survivor, but certainly grim with anger to bring those gunslingers to the hangman! Or shoot them right off their horses! 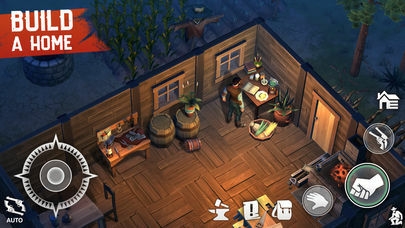 But before, there’s some crafting to do - a shelter for the night, some wood logging for bow and arrows, maybe even mining some ore for horse shoes and trading with the Indians. 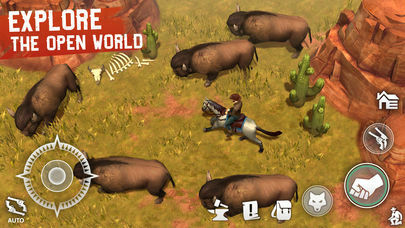 Perhaps they can teach you how to hunt deer for cooking a steak… Embark on this incredible exploration journey in the Wild West, Cowboy! Yee-haw!